If it weren’t for my friends and the lovely neighborhood nights we have, I would never have any post ideas, seriously. I’m not sure how we got on the topic, but I do remember that we were sitting around TRM’s table having a “neighborhood night” and we started to discuss favorite fictional vehicles. Of course there are many, many to choose from, including different versions and variations. For the sake of this list my definition of vehicle is “a thing used for transporting people or goods.” Also, I really wanted to think beyond the first things to jump into your head. Just about everyone likes the Batmobile (pick your version), The Millennium Falcon, or The Enterprise (again, pick your version). So you won’t find any of those my list, which is not to say I didn't throw some obvious choices out there, obvious to me at least. So here goes, in no particular order, Tiny Doom’s Top 5 Fictional Vehicles. I've written about my love for Fury Road before, so it's not really a surprise that the vehicle at center of the film would be a fav. What I love about the war rig is that it is clearly an extension of Furiosa herself...unstoppable, reliable, and protective. Furiosa customized it herself, from the skeleton arm painted on the driver's side door to the kill switches which let no one but Furiosa drive. Most importantly The War Rig represents freedom, literally moving its human cargo along the roads until independence is earned by ramming through and running over authority and patriarchy. 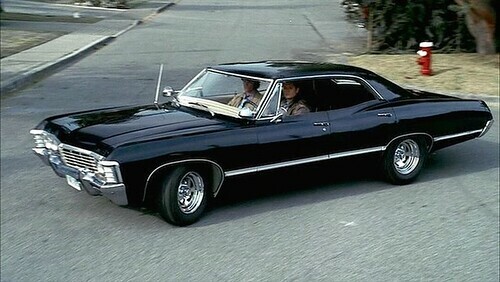 The Impala is Dean’s Baby, his first and only car. She’s black and shiny, and chock full of weapons for hunting monsters. She’s been Sam and Dean’s home when they didn’t have one, which is most of their lives. The Impala is pretty much a character on the show in her own right (check out “Baby”, ep. 4, season 11). Besides the fact that it’s hard to resist a growly beast of a car that can fit a body in the trunk, I think I feel such a kindred spirit here because I too tend toward anthropomorphism (yeah, I talk to my car) and had my own first car (The Turtle) for 20 years before it was time for something new, since I don’t have Dean’s mechanics skills. The new ride is great, but you never forget your first. 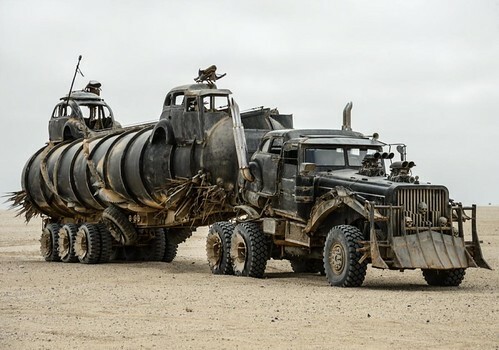 Yeah, another Mad Mad vehicle, and probably the most “obvious” one on this list. But I also sort of feel like it's the progenitor of some of the other iconic vehicles on this list. The interceptor starts its life as Max’s police vehicle and later becomes his home, his weapon for revenge, and the thing that gives him purpose as the world falls down around him. It's both a symbol of his past, and one could argue, a physical representation of Max’s own mental state. It's red and gold, it's sleek and shiny, and it makes the wearer strong, fast, and while not nigh indestructible, it can certainly take a lickin'. The first Iron Man movie remains my favorite Marvel Cinematic Universe movie, largely because of how much it surprised me. 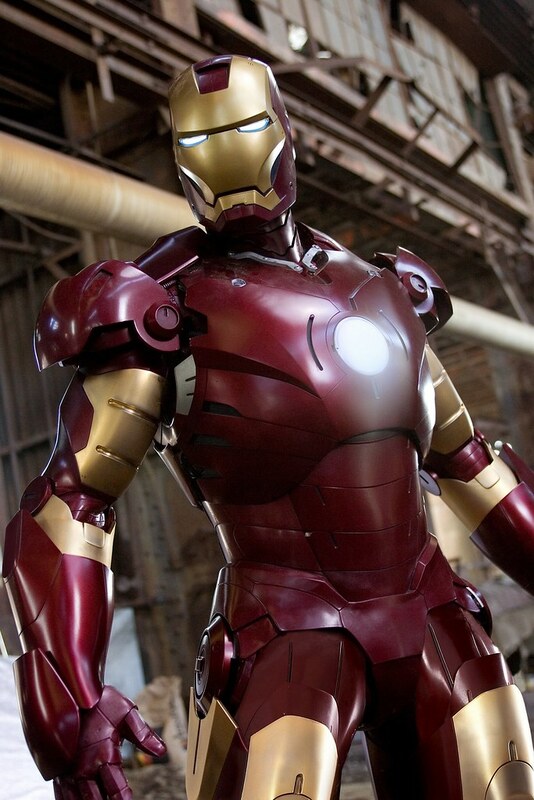 And seriously, I love the aesthetics of the Iron Man armor. I even love all the clicking and whirring sounds it makes! It's hard to pick a favorite, maybe the Mark III, again because it was the first that really caught my eye. From a functionality standpoint the "suitcase armor" from Iron Man 2 just delights me. It's a good idea too, I mean how awkward is it to be caught by a supervillian without your hero pants even on? 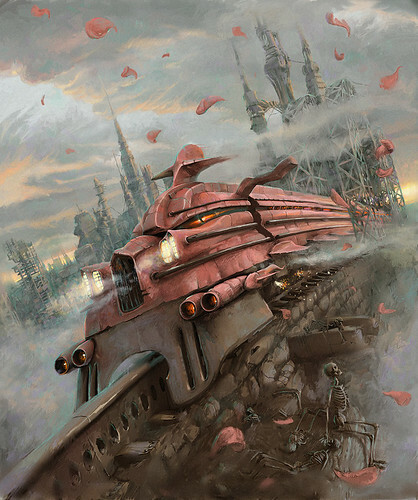 Blaine the Mono- (The Waste Lands and Wizard and Glass, Dark Tower Book Series by Stephen King)- I've always liked monorails. They seem so futuristic and way better than our current subway system. I rode a monorail in Las Vegas and it was very polite, always reminding you to be sure you have all your belongings and to check that you are getting off at the right stop. This is not Blaine. Blaine the Mono is a sentient monorail who is a pain and goes insane and that's the truth (yes, my rhyming is intentional here). He tries to kill the main character and his traveling companions, but not before challenging them to a riddling contest. He's pretty much the exact opposite of my platonic ideal for a monorail or any mode of transportation for that matter, and I can't wait for self-driving cars! But this is probably what makes Blaine interesting to me. 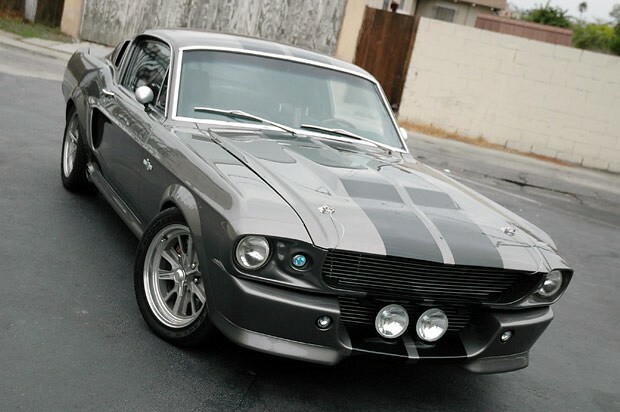 Eleanor,1967 Shelby Mustang GT500- (Gone in 60 Seconds) Apparently 1967 was a good years for cars. While this one doesn't make it on to my list, I know it's my Dad's "holy grail." In fact, I believe there is a verbal contract in play that if I ever win the lottery I have to buy this for him. Look at these things. They are so ugly they spin back around to awesome. Plus, they run on a track, like a monorail. Also, super safe. Lex and Tim still survived even though a T-Rex stomped on it, chewed on it, and eventually dropped it in a tree. 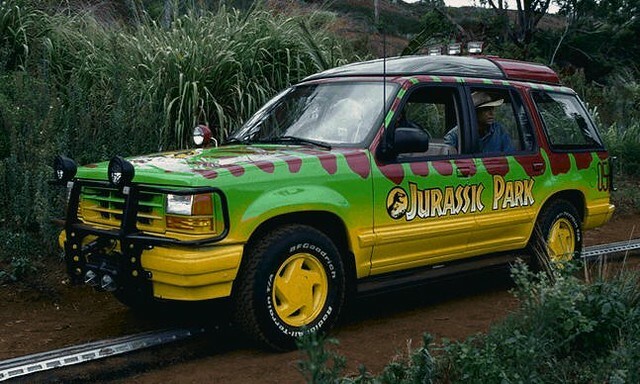 If I had one of these, I would strap the Fashion Raptors in and offer to drive it in every parade.